Comment Note: Complimentary transport will be offered to participants residing in the Black River region. A unique experience of Swimming with Dolphins and watching Whales in their natural surroundings! 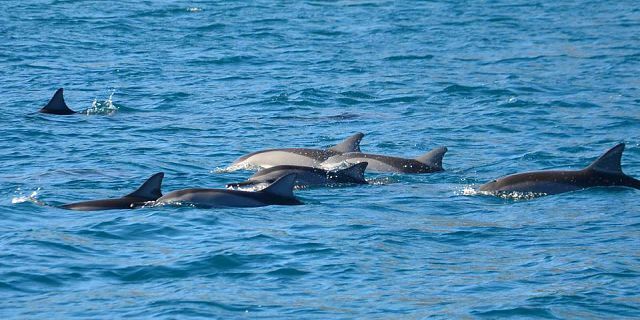 It is a unique dolphins activity done on a speed boat. This is a unique chance to explore the spectacular lives of these magnificent marine mammals in their aquatic habitat. 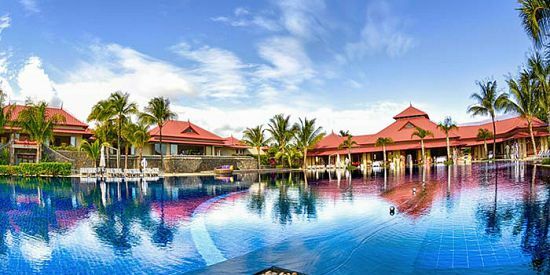 Immerse yourself in the adventure of a lifetime, swim with dolphins in crystal clear waters and encounter whales in the open sea. Swimming with dolphins and encountering whales are both incredibly moving experiences. 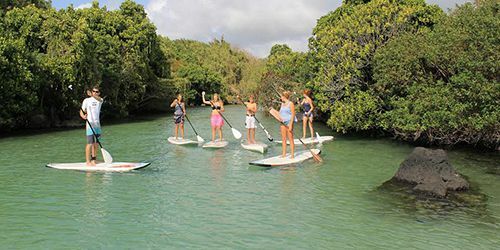 Swimming with Dolphins: You’ll plunge into the remarkable world of these powerful marine mammals and come face to face with the dolphins. 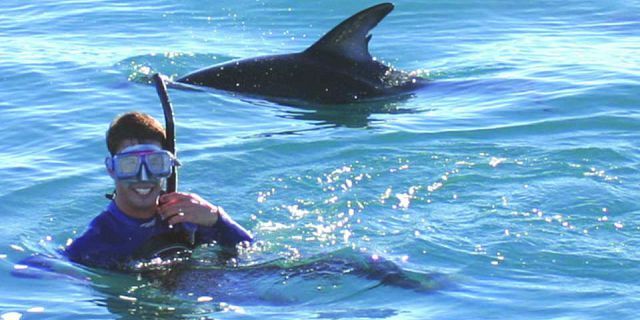 Unlike many other dolphin facilities that limit a swim with dolphins program to pools and/or shallow water encounters, we provide the unique opportunity to enter the dolphins’ natural environment and enjoy swimming with the dolphins in open sea. Enjoy a tasty continental breakfast which will be served upon arrival with Tea, Coffee, Juice, Water, Pain Chocolat, Croissant, Fruits, Biscuits. 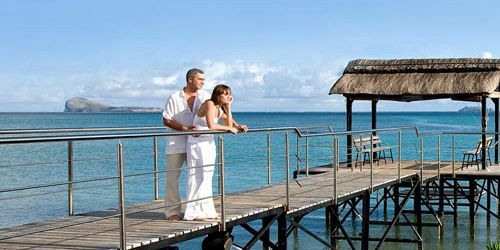 Once you get on board the speed boat, the skippers will give you a briefing on the experience you are going to have. Sandwiches and soft Drinks are offered on this trip. Note: Complimentary transport will be offered to participants residing in the Black River region. Snorkeling equipment is provided for you free of charge. 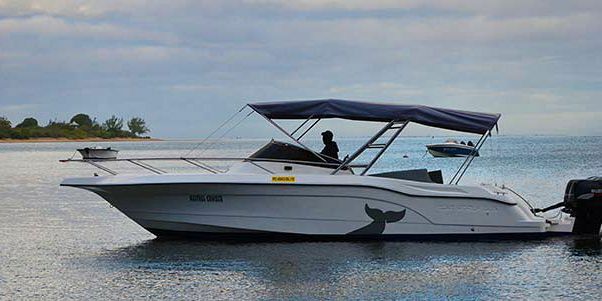 After the outing with the dolphins, you will be taken further out to the deep sea for the whale watching. 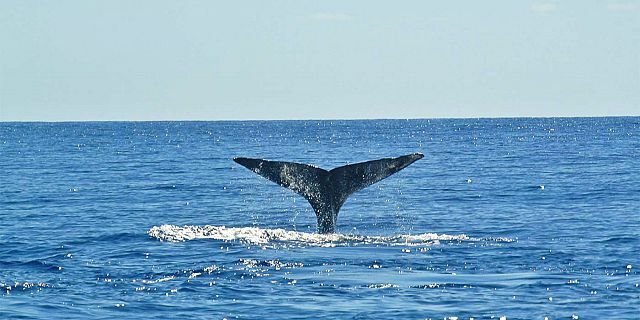 Whale watching is a different and more difficult outing as you will have to go further out to sea and the number of encounters you will have, depends a lot on weather and sea conditions. If the sea is rough, it will be more difficult to see the whales. 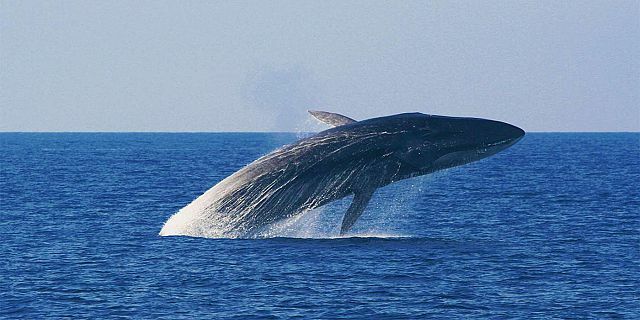 …But, when you do see the whales, the sight is unbelievable. Everyone has their own way of describing this incredible sight. 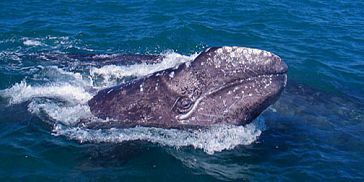 Sometimes instead of the usual outbursts, it is the deafening silence of being lost for words as you hear the enormous humpback whale take one last breath before a dive. 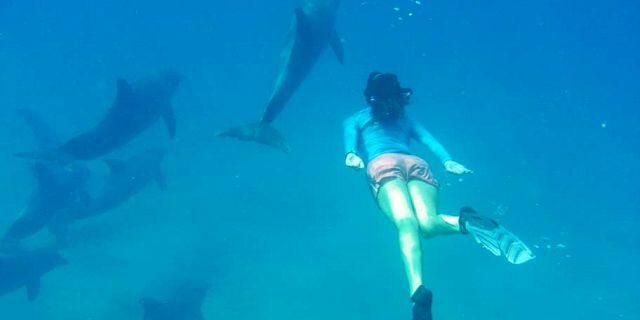 Both Swimming with dolphins and encountering whales undoubtedly offers a rewarding, educational, therapeutic and amazing experience for everyone! Please note that Sandwiches and soft Drinks are offered on this trip. 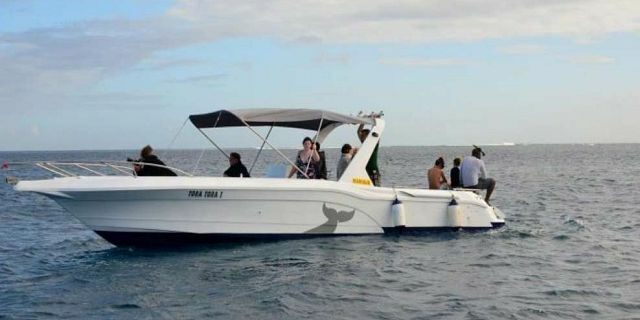 Note: There is a guarantee of 90% that you will see the Dolphins but if that is not the case, there will be no money back but instead we will offer you to join a second trip free of charge. Note: There is a guarantee of 60% that you will see the Whales but if that is not the case, there will be no cash refund as the costs for such outings are too high in terms of fuel used. The trip is not recommended to pregnant women. Should be 7 or above to go on this trip. The max capacity of the boat is of 10 passengers. 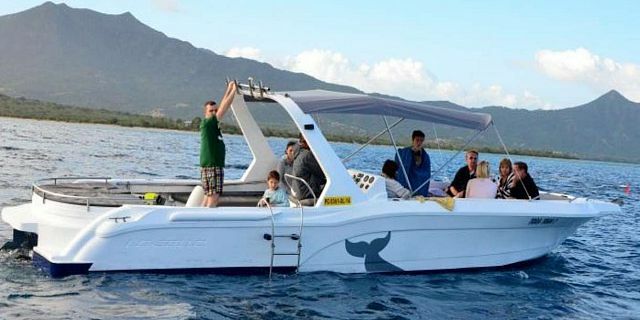 This trip is done on speed boats as it is much easier to look for the dolphins and the whales in Mauritius as compared to catamarans who will take more time to arrive on the site and will allow you less time in the tour itslef instead of the time spent to get there and back. 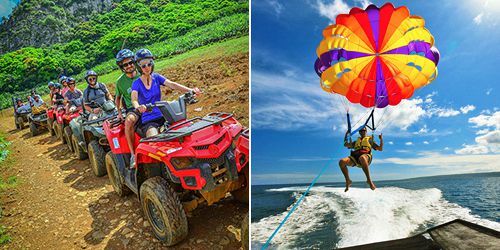 This trips departs from the West Coast from the area of Tamarin.Complimentary transport will be offered to participants residing in the Black River region. Upon request we can arrange your transport from and back to your hotel. Dolphins and whales are perhaps the most fantastic of all the creatures that live in the ocean. 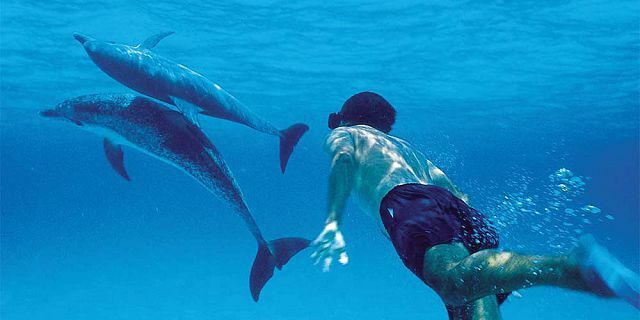 The dolphins - cheerful and playful, symbol of intelligence and grace. 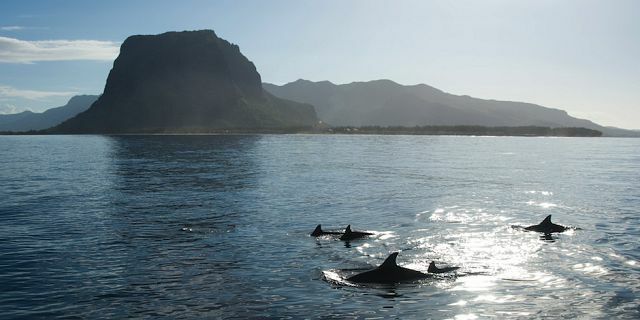 Dolphins lived in pods of around 20 individuals or more and can be observed swimming casually from Tamarin, on the west coast of Mauritius, on their way to the deep sea off the coast of le Morne peninsula, early in the morning. 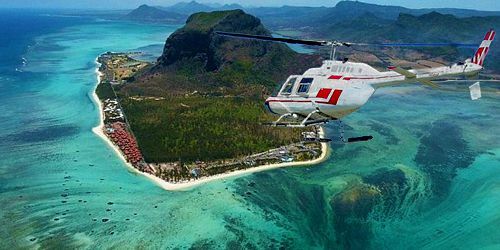 The Dolphins, the Bottlenose Dolphin and the Spinner Dolphin, have made of the West Coast of Mauritius a place for them to rest and sleep before going to the deep sea for their fishing. 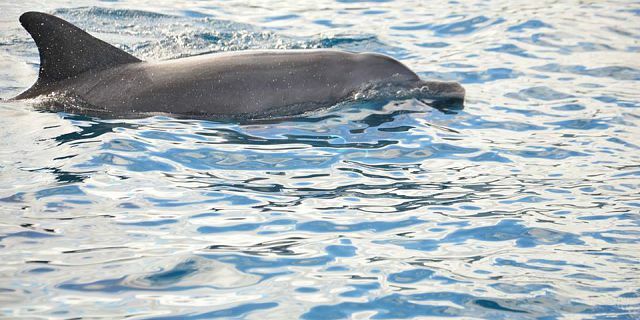 The Bottlenose Dolphin is one of the most common and well-known dolphins. Bottlenose Dolphins are grey in color and can be between 2 and 4 meters (6.6 and 13 ft) long, and weigh between 150 and 650 kilograms (330 and 1,400 lb). Bottlenose Dolphins live in groups called pods that typically number about 15 dolphins, but group size varies from solitary bottlenose dolphins up to groups of over 100 or even occasionally over 1000 animals. Their diet consists mainly of small fish. 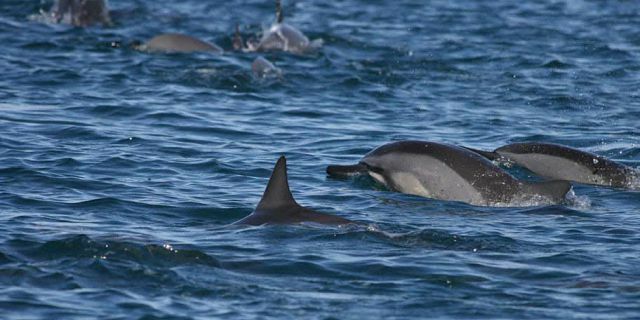 The Spinner Dolphin is dark gray, with darker patches in the tail stock, back and throat. Usually it has creamy-white patch on the belly though this varies considerably. 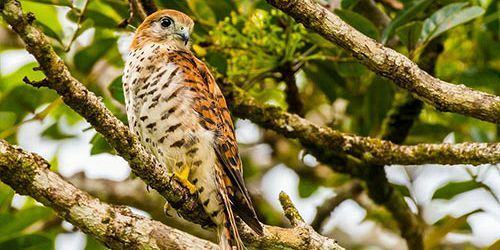 The beak is distinctively long and thin, with a dark tip. The fins too are lengthy for dolphins of this size. 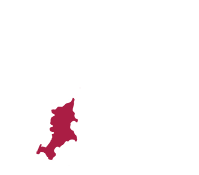 Adults have varied in size from 129 cm to 235 cm and weight from 23 kg to 78 kg. The gestation period is 10 months. Individuals reach maturity at 4-7 years (females) and 7-10 years (males). Longevity is unknown. Spinners congregate in groups that vary from just a few dolphins to great schools numbering in the thousands. 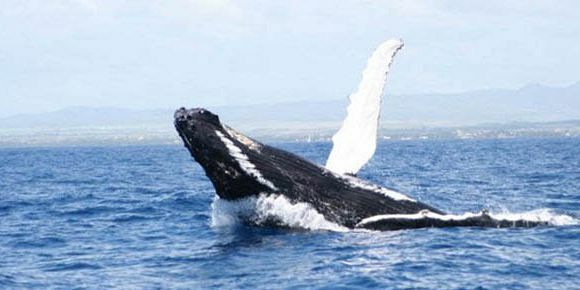 It is possible to find many different types of whales in Mauritius. 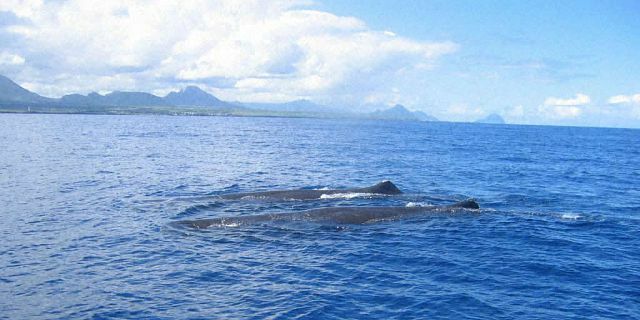 The most common whales are: Blainville's Beaked Whale, Gray's Beaked Whale, Dwarf Sperm Whale, and the Sperm whale which is the most famous Whale in Mauritius is the Sperm Whale. 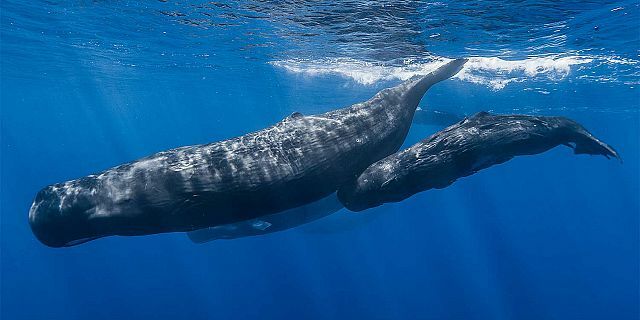 The Sperm Whale is the largest species of toothed whale, with adult bulls(males) growing to be about 15-18 meters (50-60 feet) long, and weighing about 45-70 tonnes. 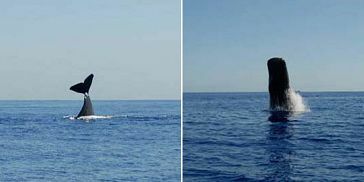 The body of sperm whales is robustly proportioned, with paddled-shaped flippers. The lower jaw is always relatively small and thin relative to the upper jaw. 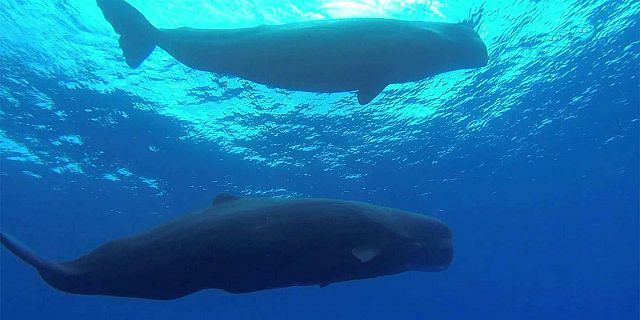 The Sperm Whale dived to great depths to find food, and it eats squid, fish, and even sharks. Fantastic experience whale watching. Skippers were very knowledgeable and ensured the whales and dolphins were respected, while at the same time attempting to get us as close as possible.